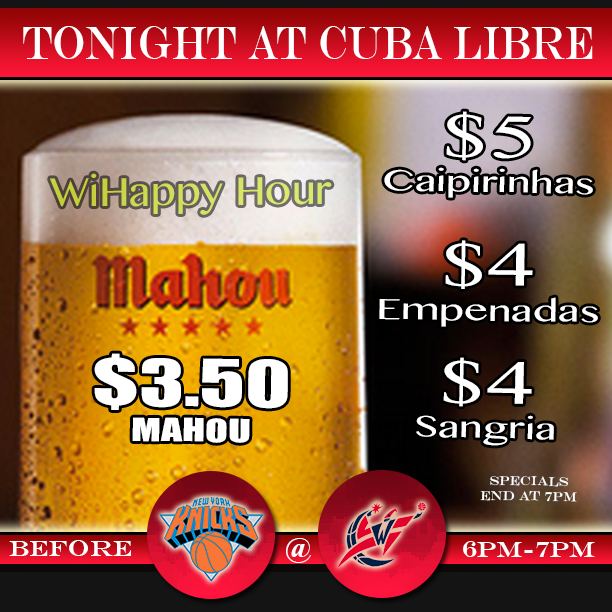 As we were researching happy hour information for our Wednesday night pregame event at Cuba Libre (RSVP) , we noticed a familiar name right there on the menu. A name that we recognized from a previous happy hour at La Tasca. A name of a beer that we had for the first time just a month earlier. That name is Mahou. 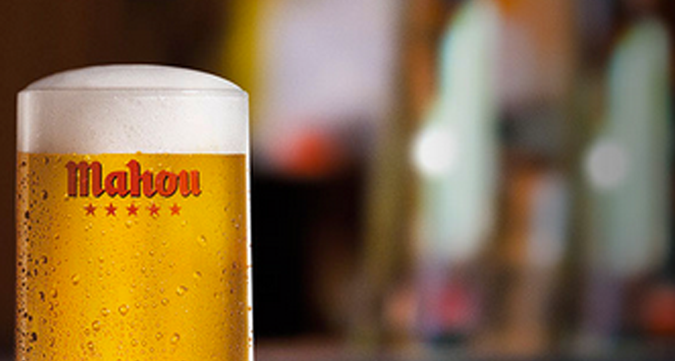 Mahou is a brewery based out of Madrid, Spain. Thanks to a deal with Michigan's Founders Brewing Company the beer is making a bigger appearance on American soil. In Chinatown there are at least three places within a few blocks of Verizon Center where you can grab a glass of this European Pale Lager before you hit up a Wizards or Caps game; La Tasca, Del Campo, and our destination for Wednesday night, Cuba Libre. So check out this beer next time you are around the Verizon Center, and if you are working in the city or going to the Wizards game tomorrow, join us. 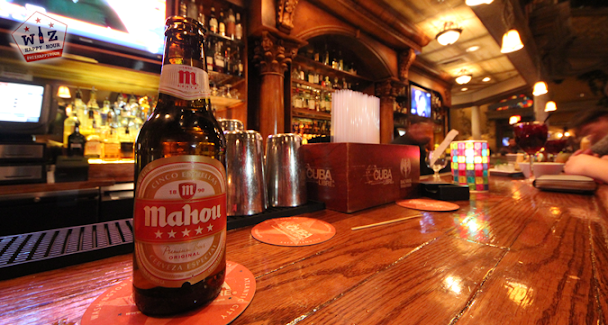 We may have a special Mahou guest!